Garrett says the reason most pictures of snowflakes are so perfect is because they’re taken on glass slides and not in their natural environment. 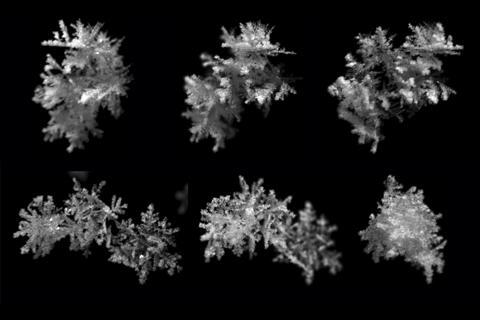 But thanks to modern technology and his partner, engineer Cale Fallgatter, Garrett is able to autonomously take thousands of 3-D pictures of snowflakes untouched while they’re still falling. The camera also tracks the snowflake’s speed. All this information will then be used to create better weather forecasting models. Garrett says they’ve already discovered that the size and shape of snowflakes doesn’t change fall speeds as much as previously thought. The project currently has two multi-angled cameras located at the Alta ski resort that have been taking pictures for the last two years.